Not counting The Gilded Age, which was co-authored with Charles Dudley Warner, The Adventures of Tom Sawyer was Mark Twain's first novel. By the time MT died, it had become an American classic, and it remains perhaps the best-loved of all his books among general readers. When it first came out in 1876, however, it was comparatively a failure. Despite MT's determination "that Tom shall outsell any previous book of mine," the American Publishing Co. sold less than 24,000 copies in the book's first year (compared, for example, to 70,000 for Innocents Abroad in a comparable period). 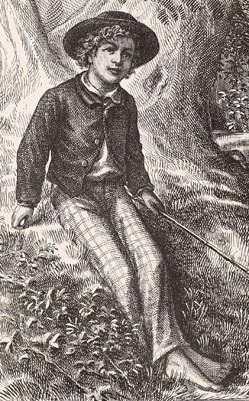 As an imaginative act, Tom Sawyer led directly on to the greatness of Huckleberry Finn and MT's other fictions of childhood or the Mississippi valley. As a commercial disaster, it pushed MT in the direction that would lead him to create his own publishing company.